Suitable for trimming cotton, wool, denim linen, canvas, vinyl, leather and chemical fiber goods, etc. Runs on ordinary house current. Cuts up to 2 1/2 inches of material. Tools, oil, extra blade, extra emery wheel and instructions. Just plug it in and start cutting! 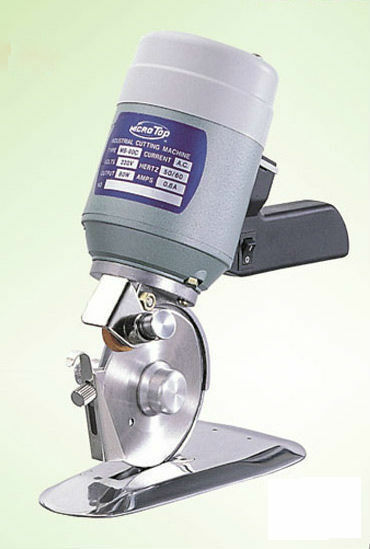 Steamlined thin base plate reduces friction and distortion in the lay and makes it possible to cut single ply accurately. US Warranty: 90 Days labor on defects in materials and workmanship.